The story of Ethical Bean is rooted strongly in place and function. In 1999, creators Lloyd Bernhardt and Kim Schachte spent most of a year in Guatemala awaiting the adoption of their child. There, they saw and discovered the nation and the coffee and the people working to make a living growing something we all delight in. They thought there was a better, more fair way to honour these farmers, and in 2003, Ethical Bean was born in Vancouver, Canada. 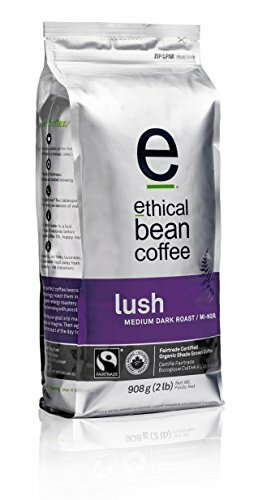 Quality coffee drives Ethical Bean. Director of Coffee, Aaron De Lazzer, became Canada's very first Licensed Q Grader in 2008. Licensed Q Graders are expert coffee graders and cuppers who have undergone a strenuous screening of their senses and abilities to become the market's most eminent coffee professionals. Aaron chooses only the very best Fairtrade and Organic coffees from worldwide. And as soon as he picks the right coffees, Aaron works with our production team to roast them to perfection. Fairtrade redefines business-as-usual. To put individuals initially. To reside in higher consistency with the land. To leave a lighter footprint. To step forward without leaving others behind. Organic accreditation guarantees that our coffee is grown without harmful pesticides or chemicals and is also non-gmo. Our ecological practices and social responsibility led us to become a Certified B Corporation in 2010, showing our commitment as a company catalyzing positive change in the community. Delicious coffee, filled with function. 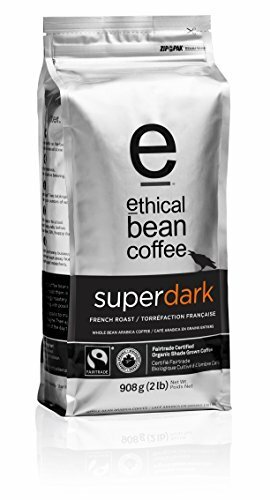 2 LB SUPERDARK WHOLE BEAN: Ethical Bean Coffee Superdark French Roast dark flavoured premium coffee. A hammering dark roast, blended to display body, balance and a dazzling cocoa-laced finish. 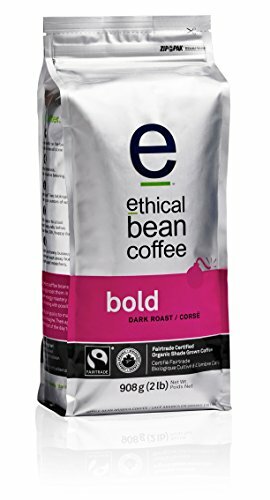 ARTISAN ROASTED: Every delicious cup of Ethical Bean Coffee has been crafted with one simple objective in mind - to make the best fair trade coffee on the planet. Artisan roasted in Vancouver, Canada, these organic coffee beans have been tested, slurped, and stamped it with an "e" - so that you'll love it with the same passion that went into creating it. 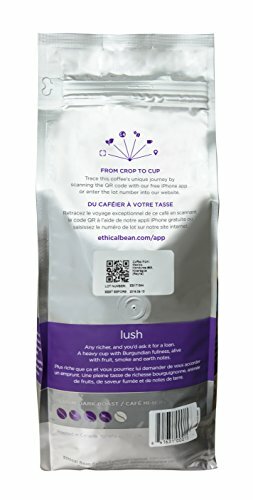 EASY PULL TAB WITH RESEALABLE ZIP: Our Super dark roast coffee bag is equipped with a pull tab to open and a zip lock seal to preserve freshness and natural flavours after opening. SOUTH AND CENTRAL AMERICAN ORIGIN: Our fair trade certified coffee is sourced seasonally from premium arabica coffee, shade grown at high altitudes. Scan the QR code sticker on the back of your bag to learn more about where your beans were grown, when it was roasted, and view insider cupping, tasting and roasting details. A perfect gift for coffee lovers. 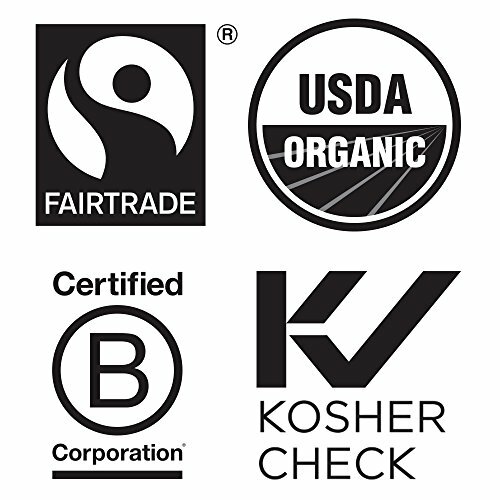 FAIRTRADE, ORGANIC, KOSHER, B CORP CERTIFIED: We've got you covered with credible third party social and environmental certifications. Better for farmers and their families, better for the planet, and of course, better for you.